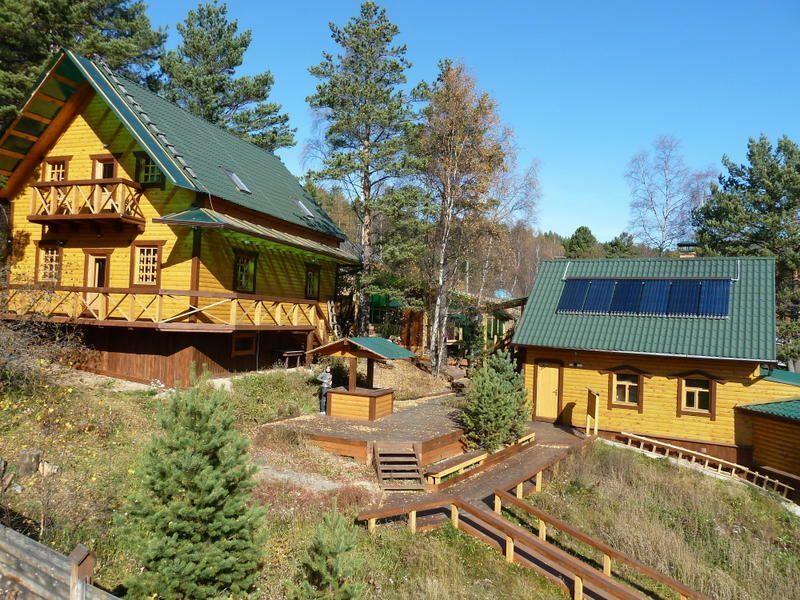 Baikaler Eco-Hostel (Lonely Planet Recommended!) 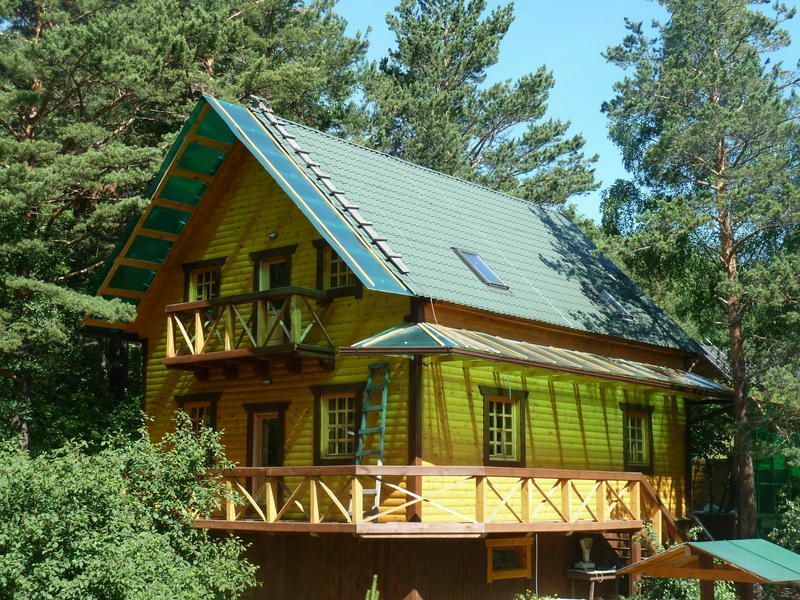 is located in the village of Listvyanka, near Lake Baikal. Built from wood, a well-insulated and energy-efficient material, the place is carefully imbedded into the environment. Our eco-hostel has a warm and inviting atmosphere, setting new standards for comfort and security.The main house has four guest rooms with shared facilities: three twins and one dorm for four people. There are two toilets and one shower. Our fully-equipped kitchen is for common use. Each twin room has LCD TV and multimedia players; there is also a common library for all of our guests. The other solar house has one dormitory room for eight people plus a single room. 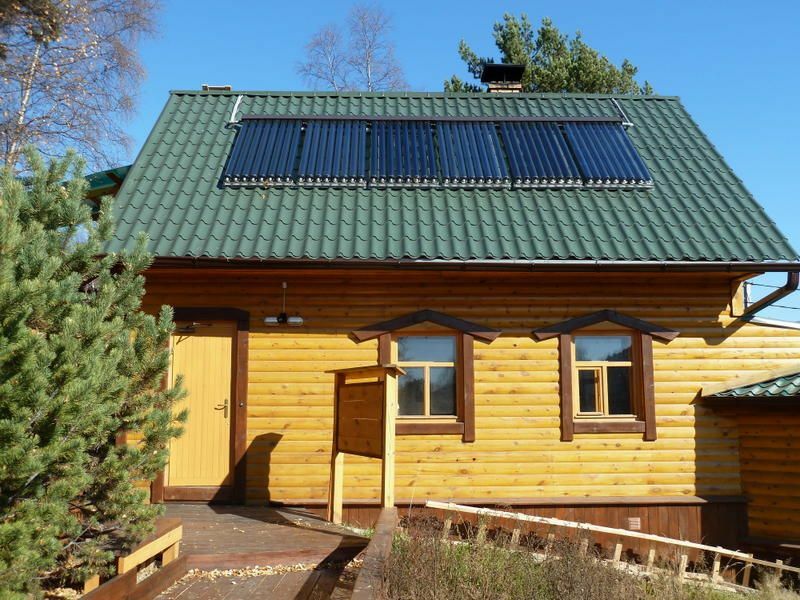 There are three toilets and one solar shower, a fully-equipped kitchen, a common room with a big-screen TV and a free library of music, films, and photos.We also have a wonderful Russian banya (sauna) to soothe and relax weary travellers. It is 400R per person per hour, 700R for 2, 1000R for 3 and 1200R for 4 at a time.Our English-speaking staff is here to help, just ask! Getting to Baikaler Eco-Hostel from Irkutsk:Step 1)You have to get from Irkutsk to Listvyanka by public minibus. Public minibuses depart regularly as soon as they get full from the Central Market area (parked between the shopping center and Central Market near the tram rails on Timiryazeva street)Price : 100R per person one way.Step 2)When in Listvyanka, get off at the final bus stop near the Hotel Mayak. Walk 5-7 min backwards along the lake. Turn right by the white obelisk and post office and walk up to this street for 20-25 min. While walking, you will pass the Art Gallery (on your left) and children's camp (on your right).Occasionally, the road splits. Please take the left one (you will see the transformation) and walk for 30-50 meters further. The Eco-Hostel has yellow wooden fence; you will be able to see two wooden houses with dark green roofs. Please use the intercom and knock on the metal bear. Please expect some time for the manager to come out.